Vespa VX 125 is one of the premium scooters launched by Piaggo. It is available in India only. It has 200 mm front disc brake system. However, the majority of VX 125 features are similar to LX 125. To give the scooter a fresh look the manufacturer has updated the instrument cluster and equipped the scooter with tubeless tyre. The engine of this scooter has single-cylinder 125 cc engine which generates 10 Nm torque at 6000 rpm. 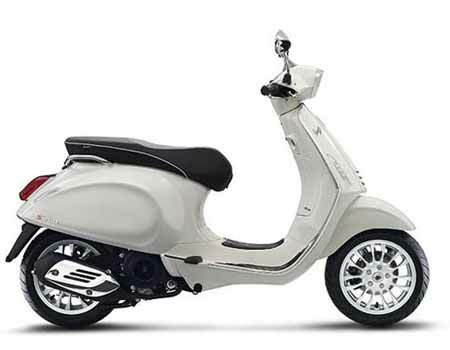 The technical details of this scooter are given below. Standard – This motorcycle has been equipped with 125 cc engine, has automatic transmission, 45 kmpl mileage and ex-showroom price around INR 72,303.